Medical malpractice happens when a medical professional’s negligence leads to the deterioration of a patient’s medical condition, additional injury to the patient, or the patient’s wrongful death. If you have suffered harm at the hands of a medical professional, you may be entitled to seek legal damages with the help of our medical malpractice lawyers. Offered here are the answers to a number of frequently asked questions about medical malpractice. These are general, introductory answers, but if you are yourself a victim of medical malpractice, you’ll need to seek the specific advice pertinent to your own circumstances by consulting an experienced Chicago medical malpractice attorney. 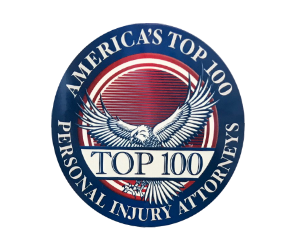 Q: If I accept a settlement and find out later that I am much more severely injured, will I still be allowed to file a medical malpractice lawsuit? A: Usually, the answer to that question is “No.” One of the conditions you must agree to when you accept a settlement is that you will not pursue additional legal action. After a malpractice incident, a doctor’s or hospital’s insurance company may offer you a settlement that is far below the amount your lawsuit would actually be worth. In the Chicago area, always speak first with an experienced Chicago medical malpractice attorney before you do anything that might impair your ability to recover the maximum possible compensation through a medical malpractice lawsuit. Q: How can I know if I qualify to file a medical malpractice lawsuit? You sought medical treatment and had a doctor-patient relationship with the defendant. The defendant was negligent in providing your medical treatment and care. The defendant’s negligence was the direct cause of your injury or injuries. Your injury resulted in documentable damages that may include physical pain or mental anguish. Q: What is the statute of limitations for Illinois medical malpractice cases? A: In Illinois, if you sustain a medical malpractice injury because your doctor was negligent, speak to an experienced Chicago medical malpractice attorney regarding your legal rights and options. In this state, the statute of limitations for filing a medical malpractice claim – in most cases – is two years from the date of the injury. However, the so-called “discovery rule” allows a lawsuit to be filed within two years after the injury is discovered or reasonably should have been discovered. Regardless of when you discover the injury, there is a total limit of four years from the date when the malpractice occurred. The law allows several very precisely limited exceptions to these deadlines. There are exceptions, for example, for foreign objects left in the patient or when healthcare professionals fraudulently conceal their malpractice. If the injury victim was under age eighteen when the medical malpractice happened, the Illinois statute of limitations is eight years from the date of the injury, or the date that injured person turns age twenty-two, whichever comes first. Q: If I signed a consent form prior to treatment, can I still sue for medical malpractice? A: The answer to that question is almost always “Yes,” because when you sign a consent form, you are acknowledging the risks of the treatment you expect to receive, and you are assuming that your doctor will provide the accepted professional “standard of care.” A malpractice claim is – among other things – an allegation that the accepted professional standard of medical care was not provided. Thus, you may still file a medical malpractice claim if you were injured by your doctor’s failure to provide the accepted standard of care. Q: How is a “standard of care” defined? A: The accepted medical “standard of care” includes the routines, procedures, and processes widely and generally accepted by the professional medical community regarding the evaluation, care, and treatment of a medical condition. If a physician, a nurse, another medical professional, or a facility like a hospital or a hospice causes a patient to be injured by not meeting the accepted professional standard of care, the patient may have the grounds to file a medical malpractice lawsuit. Q: If my doctor commits medical malpractice at a hospital, can I sue the hospital? A: Most doctors working at hospitals are considered independent contractors rather than employees, so in most cases, you will not be able to sue a hospital where medical malpractice happens. However, a hospital may be liable for a doctor’s actions if the hospital did not make it clear to the patient that the doctor was not an employee. “Making it clear” may be impossible in emergency situations, so hospitals sometimes may be legally responsible for an ER physician’s medical malpractice. Q: What is my recourse if a nurse gives me the wrong medication? A: When a nurse does not fulfill his or her professional duties in the way that a normally competent nurse in the same circumstances would fulfill those duties, and when that failure to fulfill duties leads to negligence that injures a patient, the hospital may be liable for a nurse’s negligence if the nurse was a hospital employee who was performing a job duty when the injury occurred. Q: What kinds of damages (monetary awards) are available to a plaintiff when a medical malpractice lawsuit succeeds? A: When a patient has been injured by medical malpractice, three types of awards may be available if the lawsuit prevails. “Special” damages may be paid for quantifiable and verifiable economic losses such as medical expenses and wages lost because of days missed from work. “General” damages compensate for the suffering that malpractice entails – physical and mental pain, emotional suffering, the loss of the “enjoyment of life,” and possibly the loss of consortium. “Punitive” damages are intended as punishment for a doctor or a medical facility for egregious conduct, although such awards are rare in medical malpractice cases in Illinois. Q: What if an incident of medical malpractice results in a fatality? If someone dies due to medical malpractice, the deceased person’s family may pursue a wrongful death claim and may recover damages that compensate for pain, suffering, and the loss of the deceased person’s income and future earnings capacity. Damages for the loss of companionship and loss of consortium are also sometimes paid to surviving family members in wrongful death cases. In any of these situations, let an experienced Chicago medical malpractice attorney provide the specific legal advice that medical malpractice injury victims and their families will need.